Panache PR provides effective, enjoyable media training in the comfort of your own office. A great experience to help you & your staff feel more comfortable working with the media. Every time I sit down with a bottle of wine I marvel at the industriousness of Panache PR! The aim is to ensure everyone feels confident and happy about the positive opportunities offered by contact with the media – either proactively or reactively. The Panache media training day allows everyone the chance to practice protecting and promoting themselves and their company in a safe and positive environment. Using the powerful tool of the camera you can see how you appear and sound not only to the media but also to others in your daily meetings, presentations and one to one situations, so that, if necessary, you can adjust your behaviour to become more effective in your communication. You will learn about the rules of radio, how to talk to newspaper journalists and pick up TV tips as you practice studio, on location and down-the-line television interviews to ensure you know exactly how to handle every situation the media can throw at you! It’s an intense but rewarding day, and once initial nerves are overcome, it’s also a great team building experience allowing everyone to refine and build upon those important strategic messages. Having spent three years on newspapers from Newcastle to Newbury, she joined the BBC, working on a variety of national TV and radio news programmes. From Radio One’s ‘Newsbeat’ to the ‘Nine O’Clock News’, she reported, interviewed and wrote scripts for the bulletins and programmes we see on our screens every day. 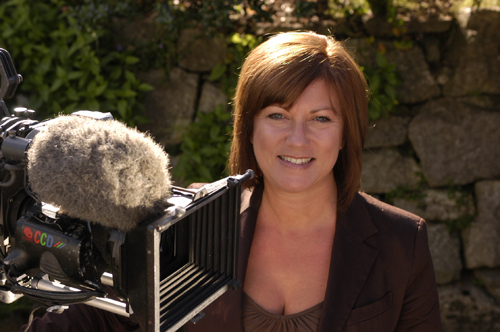 Lured North, Sue became the BBC’s regional face on the local news programme ‘Look North’. She presented the programme and interviewed the people who made the news, five nights a week for seven years. After moving into PR she helped run a prestigious food & drink PR Company in London before setting up Panache PR and now, along with strategic communications campaigns and media relations programmes, provides comprehensive, effective, personally tailored media training to help those in business deal better with those in broadcasting and print.